These muscle progenitor cells originate from the ventrolateral lip (VLL) of the dermomyotome, they are highly proliferative and Pax3-positive. Two distinct muscle progenitor populations originate from the VLL: one type of cell proliferates and migrates to the limb bud to contribute to limb muscle formation. These cells do not differentiate until they reach their final location in the limb bud. The second cell population, marked by low expression of Myf5, the earliest marker of myogenic differentiation, migrates underneath the dermomyotome to accumulate under its central compartment. 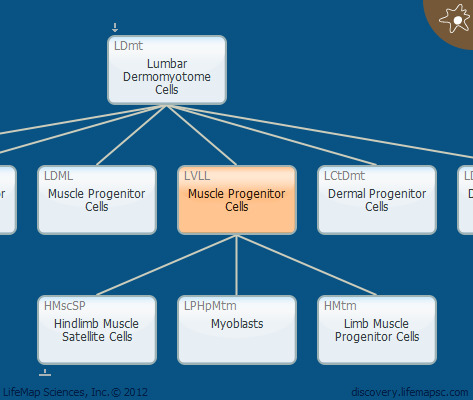 Together with the progenitor cells from the dermomyotome lip (DML), they form the primary myotome layer which serves as a scaffold for the formation of the mature myotome.